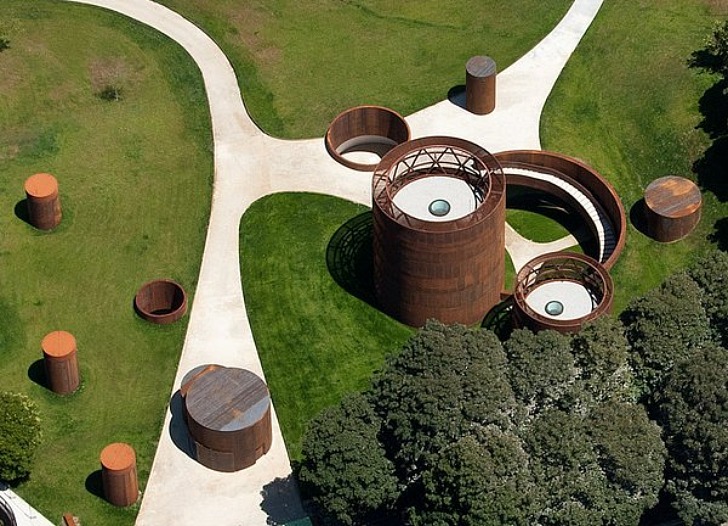 The cylindrical Lugo History Museum in Spain attracts a throng of curious people, which is great, except that they also come with a load of fossil-fueled vehicles that litter the beautiful landscape. Nieto Sobejano Arquitectos came up with the perfect solution: park the the cars and the museum underground. Not only does this keep the vehicles out of view, but the thermal inertia ensures maximum energy efficiency as well. The weathered-steel buildings are reached via a spiral staircase that leads beneath a sheet of green grass. This extends as far as Lugo’s urban park, ensuring an uninterrupted reach of green spaces where there was once a thriving industrial zone. And If this isn’t enough green goodness for you, note that the architects have also made room for energy-generating solar panels. TheVisitor Center is organized on a single floor that is naturally lit by large circular courtyards, while the museum’s outdoor exhibits are wrapped in a thin metal skin that can incorporate energy-generating solar panels and nighttime lighting. These interventions combined with the cooling effect the earth has on the subterranean spaces makes this fascinating complex about as energy efficient as it can be. The Romans would be proud! The cylindrical Lugo History Museum in Spain attracts a throng of curious people, which is great, except that they also come with a load of fossil-fueled vehicles that litter the beautiful landscape. Nieto Sobejano Arquitectos came up with the perfect solution: park the the cars and the museum underground. Not only does this keep the vehicles out of view, but the thermal inertia ensures maximum energy efficiency as well. 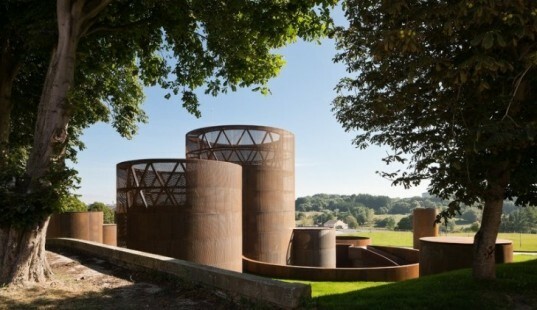 The weathered-steel buildings are reached via a spiral staircase that leads beneath a sheet of green grass. This extends as far as Lugo's urban park, ensuring an uninterrupted reach of green spaces where there was once a thriving industrial zone. And If this isn't enough green goodness for you, note that the architects have also made room for energy-generating solar panels.